I'm 23 year old Kenyan citizen.I’m a 3rd Year student undertaking computer science degree course in University Of Nairobi.I have quite a number of skills in computer. 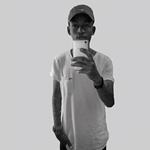 	I...Read moreI'm 23 year old Kenyan citizen.I’m a 3rd Year student undertaking computer science degree course in University Of Nairobi.I have quite a number of skills in computer. 	I can type as fast as 76 words per minute. 	I can program websites. 	I also have my own website so far which I'm still working on. 	I’m conversant with all Microsoft Office Packages. 	I can code mobile applications. 	I can Photoshop with any version. I believe in commitment and passion when it comes to work. I often give it my best shot in matters concerning work. I’m looking forward to be hired by you.